If you’re always up-to-date, then your 2019 resolution must have been WordPress 5. If you recently switched over, you will likely have gotten your hands dirty with Gutenberg - WordPress’ new post and page editor. There’s already a lot that you can do with Gutenberg, but most importantly, there’s even more that you could be doing with the editor. Opening up to extensibility, the editor has allowed plugins like Advanced Gutenberg to expand the WordPress toolset for a richer editing experience. Most recently, Advanced Gutenberg has received a new update that introduces a brand new block and allows you to personalize your Gutenberg experience. Communication is a two-way street, but blogging isn’t - it’s just you preaching to your readers. Advanced Gutenberg’s latest update has opened up the road to accept communication from the other side. The trick? A good old contact form. 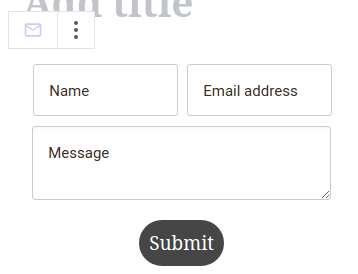 Like everything else under the stars in Gutenberg, the contact form is a block. There are no frills, but enough for your WordPress users to get in touch; all they have to do is fill in their name and email address, compose a message and hit submit! But it’s not like JoomUnited to leave it at that. Contact forms can be customized in various ways to get them to fit in with your blog. 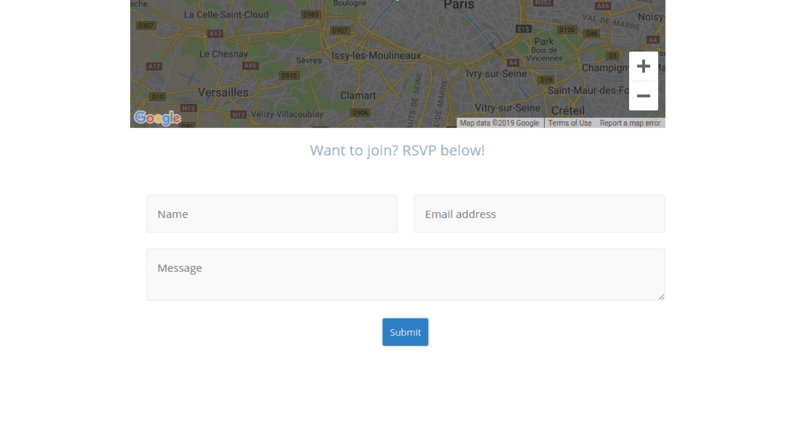 Some personalization options are only expected - text and background colors, and borders can all be edited to improve the form’s look and feel. Moreover, form-specific options are also available to customize the fields. Advanced Gutenberg’s contact forms come with placeholder text - guidance for your members to know what to input. Traditionally, the inputs are the name, email address and message. However, you can update all of these fields, or even translate them to a different language from the block settings. The message that is shown upon sending an email can be customized as well. 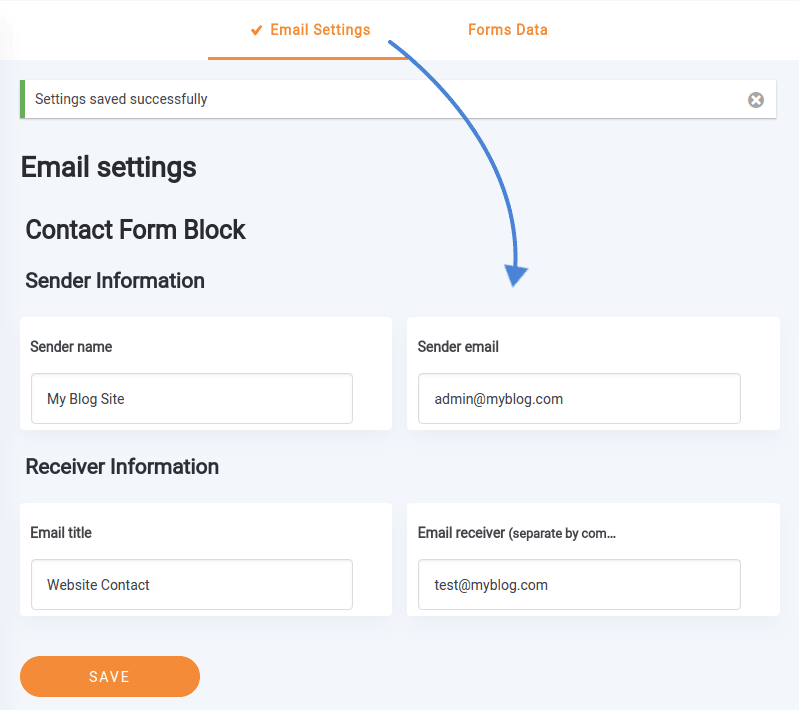 The contact form’s messages can be received in two ways - either by receiving them as emails, or by exporting them as either JSON or CSV files. The advantage of the former is that you receive the emails immediately when they are sent. On the other hand, exported messages can help you download all messages in one compilation, perhaps even to store as a backup. All of the email-related configuration is in Advanced Gutenberg’s settings page under the email & form sub-menu. The forms data tab is where you can download the messages. JSON files are ideal if you are a developer and want to be able to import them into your favorite programming language. CSV files are more suitable if you want to open your messages in a spreadsheet editor. To download your email messages, just click on either the CSV or JSON buttons. However, it is likely that you will want to set up your email settings. It is certainly convenient to receive incoming messages immediately, rather than have to check for new ones manually. The related settings are in the email settings tab and split in two areas. The sender information is what appears as the sender in the email that you receive. Note that some hosting services necessitate that the sender email is a valid address with the same hostname. The receiver information allows you to specify the email’s title, and a comma-separated list of email addresses that would receive new messages. When you’re ready, click save and wait for correspondence! Gutenberg’s structure allows WordPress blogs to evolve as need calls. Advanced Gutenberg has built on these concepts to allow individual blocks to be styled, rather than the layout itself. Now, Advanced Gutenberg also allows tweaks to the editor itself. One new option in Advanced Gutenberg’s configuration is the editor width, which adapts the editor’s size according to your preference. If you want to make use of all the monitor space that you have, give the large and full width options a try. The two options expand the editor to use 75% and 95% of the available width respectively. If you’ve started experimenting with WordPress 5, it’s difficult not to fall in love with Gutenberg and its new way of blogging, but there’s more to it. Now, thanks to Advanced Gutenberg 1.9, you won’t have to guess what your readers think about your blog - you can open up a two-way channel.